The flat cross section of the link arms is an engineering tour de force which, combined with the optimised layout of the hydraulics along the profile of the loader and the high visibility roof, gives the driver a clear view of the work area, for superior manoeuvrability in complete safety. A reliable, safe automated system lets the operator hitch the link end easily from the driver seat. 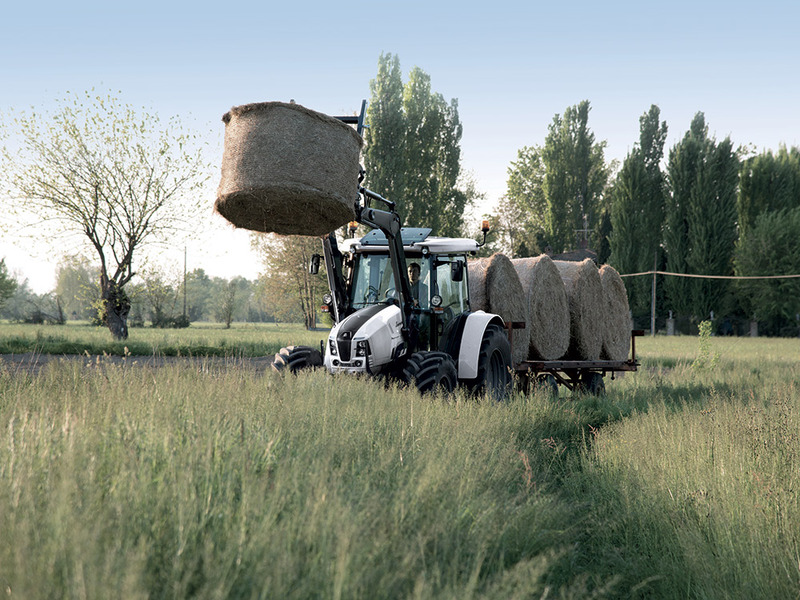 And with the Comfort Drive system which significantly reduces pitching during transport, Lamborghini front loaders also optimise comfort and safety.